Publisher review: Barnsley, Rotherham and Worksop sit on top of the Midland coalfield, stretching from Nottingham into Yorkshire and the mining industry in this area once supported tens of thousands of jobs in collieries dotted across the landscape. 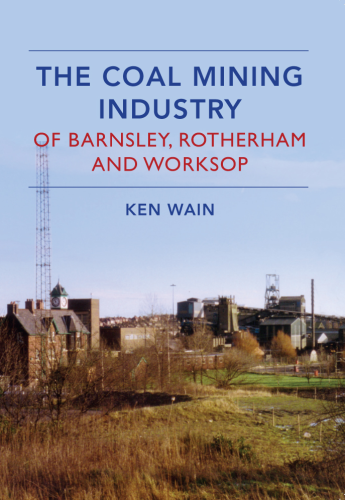 In this book, the culmination of some forty years of research, author Ken Wain tells the story of the mining industry in the area from the primitive mines of the medieval period to the rundown of the industry and the end of deep mining in Britain. The Coal Mining Industry of Barnsley, Rotherham and Worksop tells the life stories of the many collieries in this part of England. From the large towns to small villages built around their local pit, Ken gives an insight into the growth of coal mining in the area as well as some of the human stories of disaster and of the working and living conditions for the miners and their families. Ken Wain spent 38 years working underground in the Sheffield area and has amassed one of the best collections of images of the coal mines of South Yorkshire, Derbyshire and North Nottinghamshire. He was instrumental in the creation of a memorial to the 106 men of Markham Colliery who lost their lives in three separate disasters, the last in 1973.